Home › Manga › Kaoru Mori: Anything and Something Review: Introduction Material or Extended Reading? 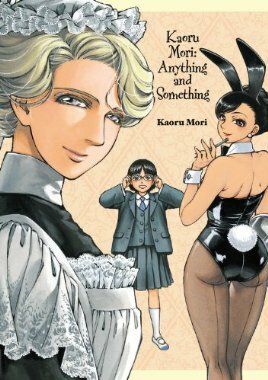 Kaoru Mori: Anything and Something Review: Introduction Material or Extended Reading? An Anglophile is described as a person who is greatly enthralled, to a point even obsessed, with British culture. Fellow CotBF member Franklin Raines and I personally knew and went to high school with an Anglophile. She was obsessed with Doctor Who and other British television shows, as well as the corresponding actors. That is what her sci-fi intake consisted of and usually what was talked about daily. This seems to be a running theme with Anglophiles, to be into the same three or four shows from Britain intensely and rarely interested in media from other countries. 2012’s Anything and Something is written by an Anglophile who loves everything British. Even with that fact it is not shoved it in your face or down your throat. It is actually used in such a way as to get you engaged and interested in the stories and Kaoru Mori uses it to her advantage. Anything and Something is created by Kaoru Mori best known for her titles Shirley and Emma. 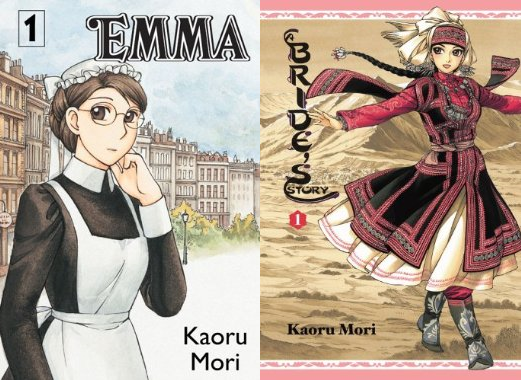 Mori has a love affair with everything British; seen constant in her works like Emma with its focus on the life of the title character Emma and her life as a late 1800’s maid living in London. In 2005, she even won the “Excellence Prize” at the Japan Media Arts Festival for her work in Emma. Mori is also known for writing doujinshi under the pen name Fumio Agata. Anything and Something is a collection of short stories all handpicked by Mori herself out of the many she has made, to share with fans. Half of the stories take place in England where the subject matter all has something to do with maids. One of the stories “Welcome to the Mansion, Master!” is about a young delivery boy, Jim, who is tricked into becoming the new master of a failing mansion by its two overzealous and only remaining staff, Zebra and Tachikawa. Also “Miss Claire’s Ordinary Daily Life” about a young maid and her master who is an eccentric collector of oddities. The other half of the stories take place in Japan with a different subject matter, “Burrow Gentlemen’s Club” about a female hostess dressed in a bunny suit and dealing with the various customers, then “To Come To See” about a school girl getting used to her new glasses. Most of these stories only last just a few pages. Although Anything and Something’s content comprises seventy percent of the story the rest of it is filled with liner notes. All provided from Mori, the notes talk on a myriad of subjects, from her personal life, to random western items and objects such as corsets or fireplaces. 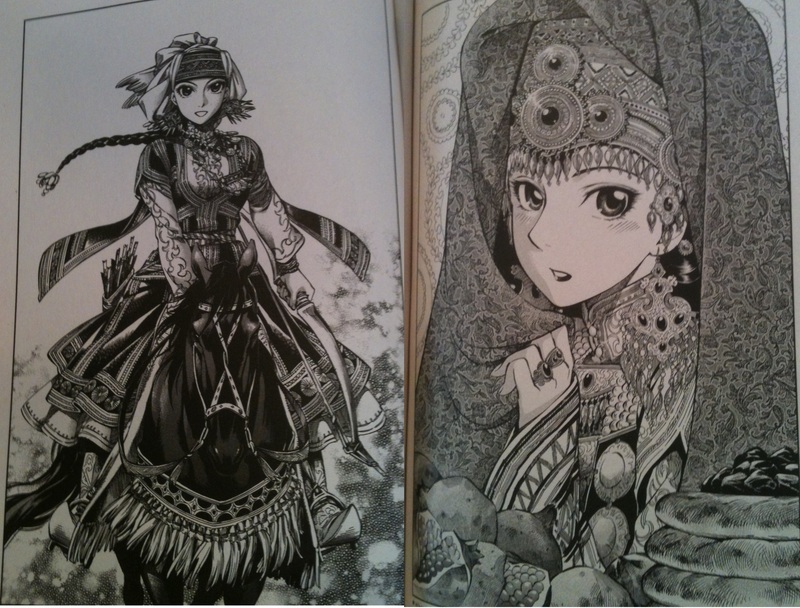 Inserted in between the pages of the liner notes is random art from Kaoru Mori. From random designs she has made for posters to actual art from her different series. The most noticeable thing about Anything and Something is Mori’s interesting art. All of her artwork is gorgeous, containing stunning detail in places like certain pieces of clothing with their intricate designs and attention to anatomy. The artwork stays consistent, with certain panels standing out from the rest simply due to a show of extra attention. In the story “Miss Claire’s Ordinary Daily Life” the art actually changes a bit and stands out from the rest of the stories. The change is so noticeable that it feels like another artist all together. Pros: The bits of random humor thrown in Anything and Something are entertaining. The artwork alone made me stop my initial skimming and just sit and focus. Having a collection of short stories improved my chances to find something about Mori’s work to enjoy. Effectively Anything and Something works as quick reading and as an introduction to Kaoru Mori’s work. Cons: Prior to reading Anything and Something, I thought that the entire book would be a collection of short stories with maybe a little bit of liner notes at the end (years of reading manga had me expecting a few pages, not the eighty-plus count I got). For someone who used Anything and Something as an introduction to Kaoru Mori, some of the linear notes were lost on me. Yen Press’ Anything and Something by Kaoru Mori is an interesting manga that works as two different things depending on the person reading. First, Anything and Something can be used to introduce someone to Mori’s work, like me who had no prior interaction action with her. Second, Anything and Something can be fan service to anyone who is already familiar with Mori and knows what she is about. With the excellent art and intriguing characters I found that these short stories were the perfect peep hole into the mind of Kaoru Mori. I suggest if you are like me and unfamiliar with her work to read half of Anything and Something then go read Emma or one of her other series than come back and read that last half of this manga. ‹ Lychee Light Club Review: Should I Be Worried That I Am Conditioned To Kids Killing Each Other In Fiction?